Arsenal legend David Seaman has given his take on when he feels Petr Cech will return as number one for the club. Will Petr Cech return to the goalpost against Liverpool on Saturday now that he has recovered from injury? This is a question many Arsenal fans have sought answers to in the last few days. This is because a lot of them feel it is time for him to step down for the much in-form Bernd Leno. The Czech international committed a costly mistake in the Gunner's 2-1 Carabao Cup win over Blackpool on Wednesday and even though that later had no negative effect on the results, supporters were highly disappointed. The veteran goalkeeper in a bid to send the ball out after receiving a pass from Shkodran Mustafi fumbled and lost it to Jay Spearing who sent it to a teammate in an offside position. It was tucked into the net but flagged void. 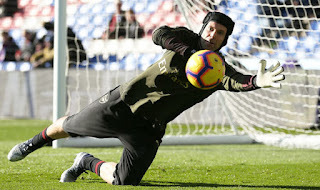 Now, faithfuls have called for his demotion not just because of that day's mistake alone but also numerous ones in the past and in Seaman's view, Cech may have to wait a bit longer. 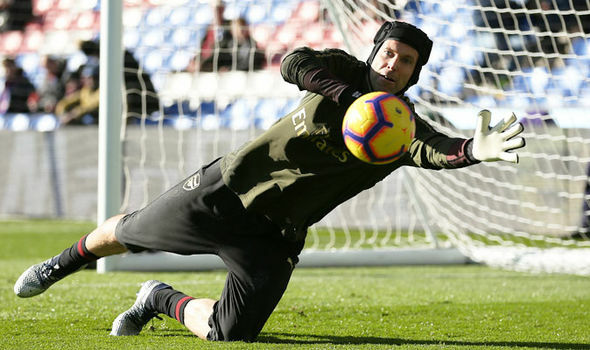 The former English player said that he will only return when Leno begins to have an unpleasant spree between the sticks. “I think he’s more suited to play from the back than what Cech is. “But don’t discard Cech because his goalkeeping is still quality. “But I think at the moment Cech will only get back in if Leno has a bad spell. “That’s right (Arsenal are on a great run).